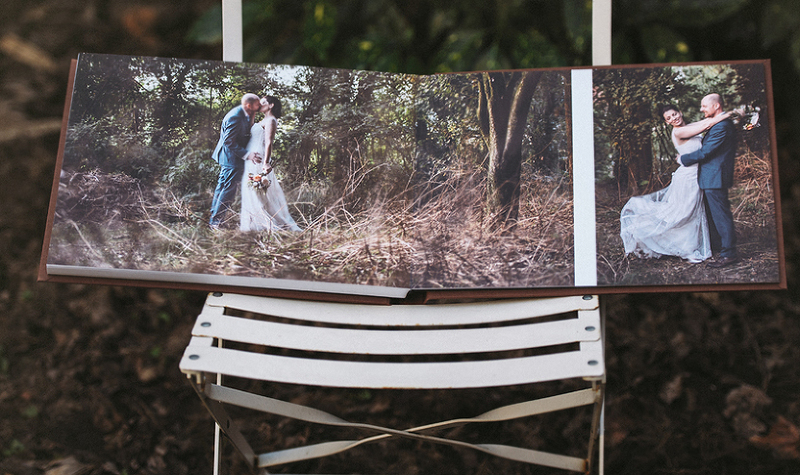 Lovely, beautiful story books with wedding photography or high quality wedding albums really makes me tick. These are new in my collection! An autumn Sunday morning , with slight fog in the air and the colours vibrating in all spectra of warm tones, is like made for writing a blog post on these new albums that I’m offering this year. But it was the other day, when I met with one of my recent brides to discuss her album options, that I finally got a real reason to blog about this album. 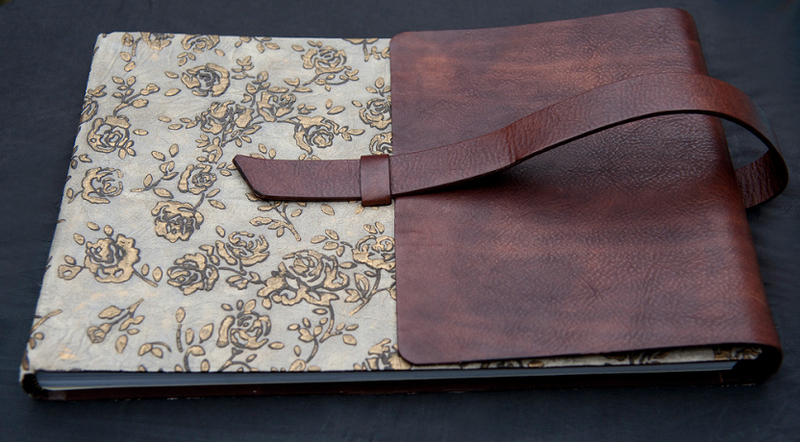 This antique style leather cover actually brought tears to her eyes. That’s when I knew that this album cover hits the jackpot. And it isn’t just the cover itself that is of outstanding quality, the printing company behind this album, use the very top notch printing equipment – you see their main business is not to print wedding albums – their main line of business is to cater for billboard campaigns and high end advertising clientele, so you can imagine what kind of facilities they have. This book is just all around high quality, so I’m glad that I’ve finally been able to put this blog chapter together. and instead it became a little article on photo story books, and why I am so inspired to make them! The post showing designing samples from a portrait book, has instead been linked at the bottom of this post – if you wish to see it. I recently designed a book with portraits that I photographed of two really cute brothers. 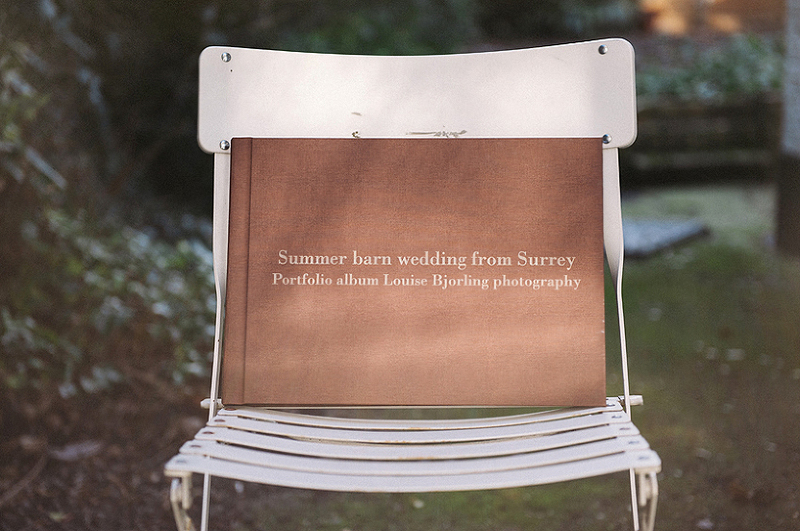 And I want to take this opportunity to tell you about my love for photo books. To me a book of photographs is a story. A story in pictures about what happened in a certain time in a certain place. About what that person was like or what that certain person’s reality was like – because reality changes and will be different tomorrow. It used to be that you had go to a library or to a book store, to access books with images – images that would tell you about yesterday, show you a frozen moment, a shot by a photographer of strangers. But technology has evolved. It is now possible to have the images of you frozen on to the pages. It’s no longer a story about strangers. You may laugh at the thought. But imagine how your grand children’s grand children will look at the images. It’s images of their grandmother’s grandmother in that book. It is not some stranger – it’s somebody that is a part of them. And imagine in some 100 + years time from now, what the viewer will look at in an image. The fashion we had back in our days! The hair cuts. The gadgets. The cars. The buildings. The shop signs. The way people interacted. How the person in the image has exactly the same eyes or the same smile as their descendants some generations later. For a long time I’ve enjoyed looking at photographs in books that tell me something about the people in it – and if the image gave me an understanding of what those people where feeling in that moment, or what their lives where like, shivers would be sent down my spine. But not until that day when I sat in the car on a Highway between Montreal and Toronto – and the sky opened up for months of stock with rain, did I realize why I actually wanted to make books of recorded memories for people. My Canadian bride was the first of my clients to want a square book, and since we had been discussing design ideas together in the car and since we could not drive any further in the rain, we made a stop to visit the book store in a mall for some inspiration. That’s where I found� Love, a book released by National Geographic. And it was love at first sight. It was a book with recorded moments of love, photographed from all over the world, since the early days of the camera til the present times. And when I flicked through it, feeling those shivers down my spine, I realized how special it is to be able to see those moments caught in time. Moments that where photographed decades back – still here to tell the story about what once was. And I realized that photographing a person’s important day, with their thoughts, their personality and perhaps a flicker of their lives and being shining through, are put in to a book – not only for the wedding couple or parents to have – but also to still be here, for future generations to see. Here follow some favorites of mine from the book’s hundreds of images. Photographs that have that special moment of interaction between people, and that tells us something about those people’s place and time. Amazing hey. ↑ It could have been the same photographer. But yet it isn’t, just two different people with the same idea! xxBy unknown photographer, Crimea 1909. – I love this photograph of princess Anastasia and prince Alexei. The children’s expressions are just so timeless – these children could be at any time and in any social class. Apart from the quality of the image, there’s nothing about the children that dates this image. Their expressions are timeless – you won’t be able to tell that this is early 1900s and there is nothing about them that specifies them as royalties. Children will be children. 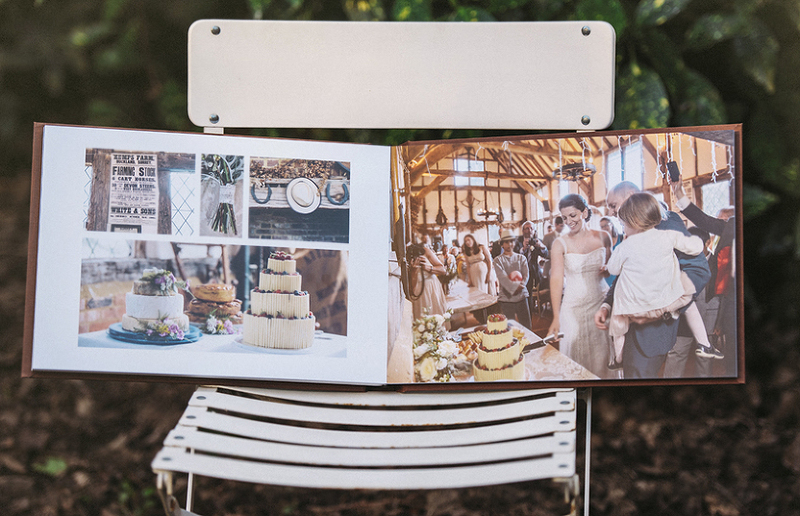 And now from the book… some wedding photographs from back in the days! Isn’t in cool to see all the different trends in wedding photographs from different times and places? Such as this one here – which unfortunately is dateless, but which obviously was shot at a time when tacky backdrops where on the agenda…. and for some reason the backdrop doesn’t feel tacky to me all the sudden, here it rather feels like a part of the history of photography! This image underneath is by Henry Cartier Bresson, known amongst photographers to be the father of documentary photography (photojournalism). And it is interesting to see that even in his wedding images back then, he is adapting to this – looking for a decisive moment to photograph the couple, rather than placing them to smile in front of the camera. Always when I’ve flicked through the book, I’ve thought that this image above is American, I had planned in my head to say something about the “American 60′s fashion shining through” – and yet it is Russian. Cold wars apart, the fashion obviously found ways to slip through the door. This is my favorite amongst wedding images from the book. Probably because it enables me to see what a wedding could look like all the way back in Peru in the 30s. The dress fashion. The style of the veil, which seems to be attached to some sort of hat. And it’s an interesting piece of information that the bride would have bridesmaids at that time as well, on the other side of the world… and I wonder what it could be that the little bridesmaids are wearing around their heads…. I think it is great with Internet, and I think that it is great for a wedding couple to be able to place their images on to their Face book page or on to My space , or where they want to post it. But those images unfortunately, might not be there tomorrow… So that is some (long piece of) information on on why I love photography books, and why I enjoy to make a book out of a couple’s wedding day or a portrait shoot.